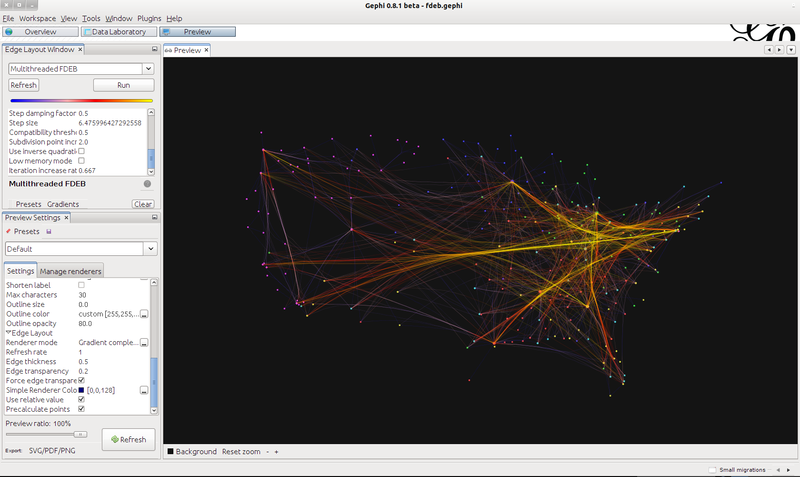 The first release of the Gephi’s Python Console plugin is finally available for download. Through this plugin, you can execute queries and manipulate the graph structure by typing commands on a scripting console, making it a very powerful and concise tool to work with. This console started as a joint proposal with the GUESS project which aimed at porting the Gython language as a console plugin for Gephi during the Google Summer of Code 2011 program. This project was mentored by Eytan Adar, from the GUESS project, and co-mentored by Mathieu Bastian, from Gephi. 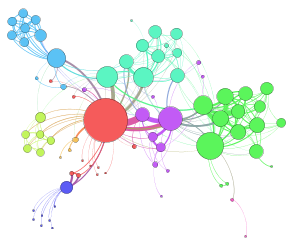 After installation, the plugin can be accessed through the left slide on Gephi’s UI or through the Window > Console. Inspired by the Gython language from the GUESS project (i.e. additional operators for manipulating graphs). Based on Jython 2.5.2, which implements the Python 2.5 specification. 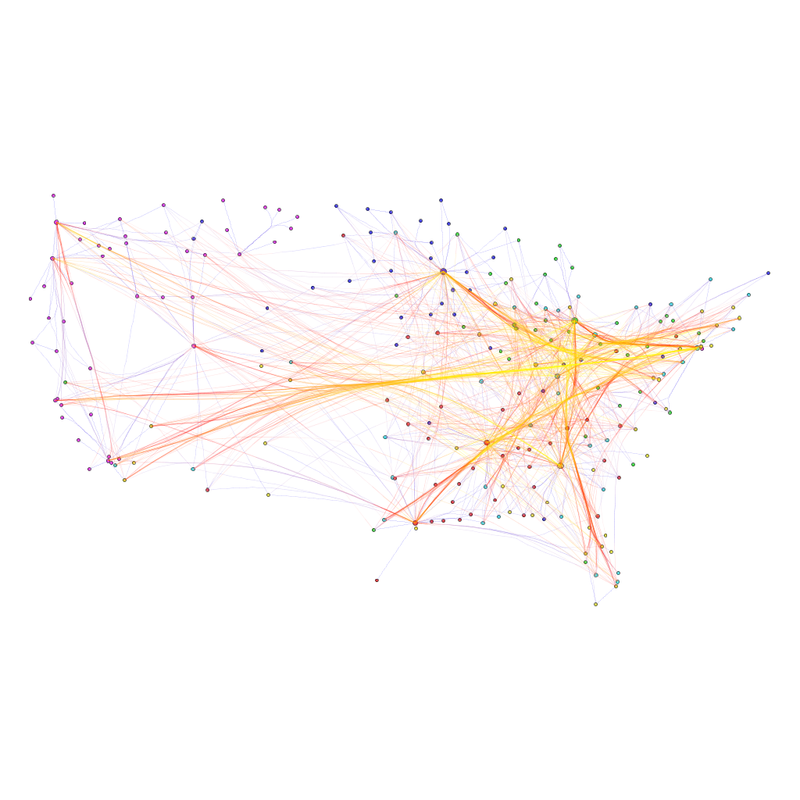 Graph structure and attributes manipulation. Export API support (i.e. generate PDF/GEXF/PNG exports from within the console). Batch scripts support for automating tasks. Go to the Tools > Plug-ins menu on Gephi’s user interface. Open the Available Plugins tab. Click the “Reload Catalog” button, to make sure you have an up-to-date catalog. Select the “Scripting Plugin” on the list and click the Install button. After installation, the plugin can be accessed through the left slide on Gephi’s UI (as shown in the image below) or through the Window > Console menu. The console’s documentation at the wiki has instructions for downloading and installing the plugin. This plugin has been developed by Luiz Ribeiro since the Google Summer of Code 2011 program and we’re really looking forward to see what you’ll be able to do with this new tool. The plugin’s source code is hosted on GitHub and is open to your contributions. If you find any bugs or have requests or feature ideas make sure to open a new ticket on the Issues Tracker. My name is Ernesto Aneiros and during this Google Summer of Code I am working on the Attributes Disk Store. In Gephi, Attributes are the data that is associated with nodes and edges. As graphs grow larger and larger, attributes occupy more memory even though many times they are not essential to the end-user when he is only applying transformations or algorithms to the graphs. These attributes can be of different types, from simple Java primitives (byte, char, int, String, etc) to Gephi’s internal data types (lists of primitives or versioned data). The idea for the project was to have a combined memory/disk cache system to partially off-load these attributes to disk. The system should have a well-designed cache system to handle heavy read access on the most-accessed elements. While Lucene complies with items 2 and 3, the approach when dealing with corrupted indices in Lucene is to rebuild from scratch therefore failing item 1. This doesn’t pose a problem to Lucene because in the context where it is supposed to be used (indexing of external information), input data is always available separately from the index and can be accessed if needed. In Gephi, however, this is not the case. Once Attributes are loaded from disk they remain in memory until saved back to file. If an error occurs during a disk store transaction the end-user can end up losing a day’s work, certainly not acceptable. After Lucene was ruled out as a contender for a data store, several options were considered, including using embedded SQL databases and using a combination of Ehcache plus BerkeleyDb. Both options bring a lot to the table and embedded databases in Java have achieved impressive results in performance when compared to other mainstream database systems (see projects H2 and HSQL for example). Ehcache + BerkeleyDb however win when complexity is considered since they introduce almost no translation layers between Gephi and the cache. Both solutions are good fits for the problem but in the end the balance tilted in favor of Ehcache + BDB because the complexity consideration. Even though Ehcache provides a great deal of functionality and features, it was relatively easy getting up to speed with it. The documentation provided online was very complete with code samples available and detailed explanations. In almost no time an in-memory cache was up, running and being tested. 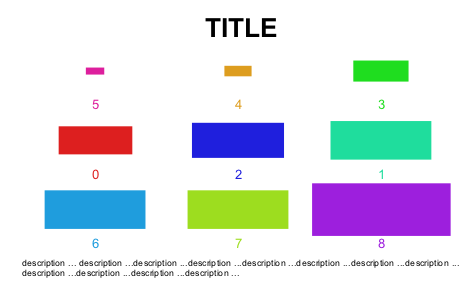 Traditionally cache sizes have been specified as the amount of max elements that they can hold. In the 2.5 BETA of Ehcache a new feature was introduced that allowed sizing the caches by memory consumed instead of elements held. For our project this is a killer feature since we can now expose a single option to the user, letting him specify how much memory the cache should consume. Even though using the new feature proved a little more complicated than expected we obtained great feedback from the Ehcache community, specially from alexsnaps and Mike Allen, which helped us to solve the issues we were having. BerkeleyDB on the other hand, is a very complex piece of software. With years of development under the belt, BDB has evolved to be a very robust and flexible database. In fact, it is so flexible that can be used as full blown database supporting queries, a simple key/value datastore or with a front-end that exposes a Java collections map that greatly simplifies its use. All of this flexibility does not come free though, configuring and optimizing BerkeleyDB requires delving into details about transactions, buffers, log file sizes and BDB internals. However the tools are there and the information provided is quite good, especially the FAQ and the optimization section. Since ease of use and transparency are important considerations for the end-user of Gephi, only the minimal configuration options are exposed in the preference panel of the disk cache, but an Advanced tab provides more control for those who want it. The General settings tab, where cache can be enabled or disabled and the memory usage configured. 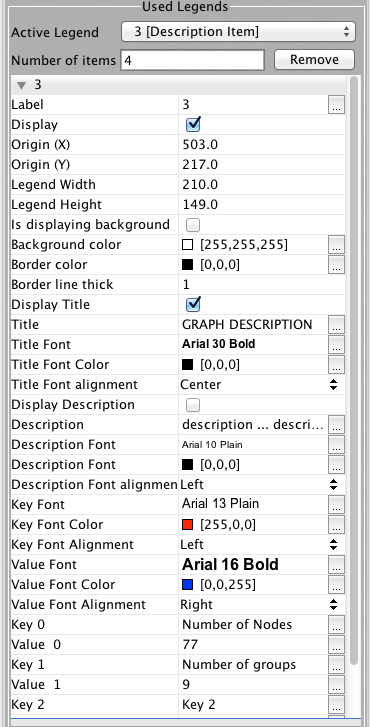 The advanced settings tab allows a more advanced user to configure several of BerkeleyDB’s options. Memory consumption without the disk store. It reaches 400MB. Memory consumption with the store, after load it drops below 400 MB. Note how load time increased due to disk operations, a trade-off to consider when using the store. The project is still in development. Being memory saving the main goal of the disk store project, results are not good enough yet because of several reasons. While BerkeleyDB provides a very convenient way of storing bytes in disk, it is still a database oriented software and therefore it is not the most suitable solution for out project because of large memory usage to caching data, building and maintaining its index (features desirable for databases but not for this project). Trying to reduce BerkeleyDB memory usage with its settings will produce quite different results in different systems or even in the same system. The benchmark above shows not bad results but it is not always the case. A better control of maximum heap growth can be observed but still with memory usage peaks that prevent better saving. The conclusion is that it is a priority to replace BerkeleyDB with other disk persistence system or create one specifically designed for Gephi disk store. It is also known that graphs with more complex data like strings or lists will always benefit more from a disk storage system than graphs with simple data like integers or booleans. An idea is to always store simple data in memory because indexing in in the disk is going to need as much memory anyway, or even more. On the other hand, Gephi works and was designed with in-memory data structures in mind. Adding a cache/disk store to the system is bound to create integration issues with other parts of the codebase. For example the GEXF file importer tends to load large portions of the graph file to memory while parsing it, which is not so good in memory constrained environments and using the cache here will not make a difference. One of these issues is regarding the handling of data in files with .gephi format. Due to the way that .gephi files are imported, some integration problems still need to be debugged in the disk store to work properly. This GSOC project is only scratching the surface of what a memory + disk cache system can achieve. In the future BerkeleyDB could be replaced with other persistence provider, and it doesn’t necessarily has to persist locally to the disk. For example replacing BerkeleyDB with a datastore like Cassandra, or maybe some RDBMS. While the Data Store API introduced by this project is still taking its first steps and can be significantly evolved, it has helped ironing out many issues and has paved the way for bigger and better improvements. Working during this summer has been a great experience and I have been able to share with great mentors like Eduardo Ramos, who knows the Gephi codebase in and out. 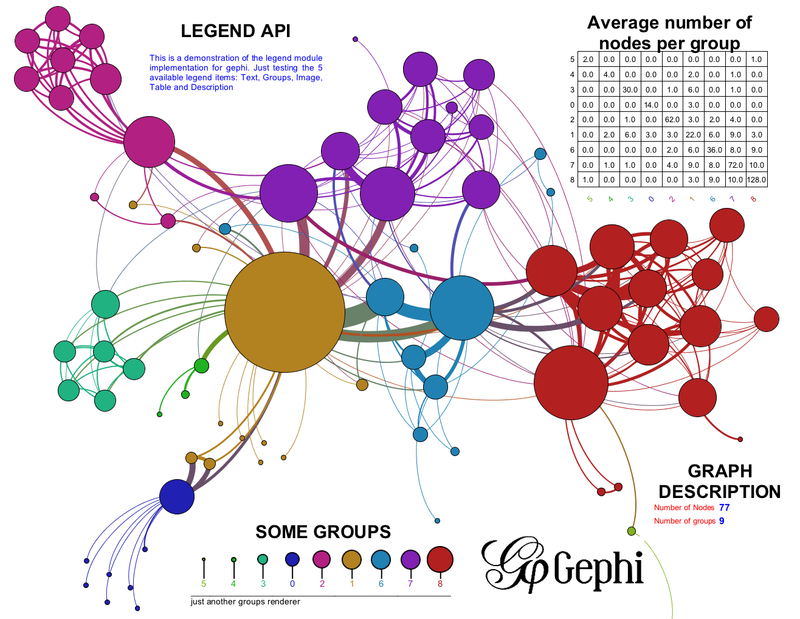 I hope the work of all of Gephi’s GSOC’ers becomes the starting point for many new features and enhancements that the community will surely appreciate. Happy coding and see you next summer!